This week we're so lucky to have the director of the critically acclaimed new movie Night Comes On, Jordana Spiro. She is maybe best known for her acting roles in shows like 'My Boys,' 'The Mob Doctor,' and 'Ozark.' But after receiving her Masters degree in film from Columbia, she began directing shorts and her most recent debut feature. 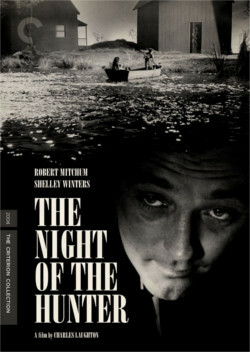 She's on the show to talk about another "Night" movie, Charles Laughton's The Night of the Hunter. She finds many parallels between this film and her own. And she even shares a similar career path to the director, actor Charles Laughton. April and her discuss the film's completely unique but assured visual style, along with the incredible performances of Robert Mitchum, Lillian Gish, and Shelley Winters. Plus, they cover the reason that this is the only film Charles Laughton ever directed.